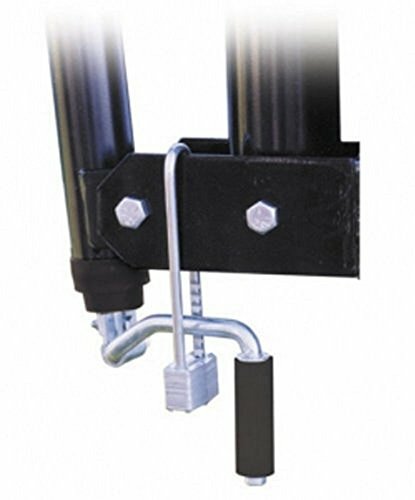 Protect your First Team system from vandalism and unwanted adjustment with this durable crank lock. The First Team crank lock can secure the basketball hoop at any rim height you like and operates with an included key. Approx. Shipping Weight: 1 lb. If you have any questions about this product by First Team, contact us by completing and submitting the form below. If you are looking for a specif part number, please include it with your message. Spalding NBA Portland Trail Blazers NBA Courtside Team Outdoor Rubber Basketballteam Logo, Red, 29.5"
Bullseye Office Basketball Trash Can - Perfect Small Waste Basket or Bin for College Dorm, Office Desk, Bathroom, Kitchen, or Home! Fun NBA Inspired Net!